Berghaus (which is a literal translation of 'mountain house' in German) is an outdoor clothing and equipment manufacturer, founded in 1966 by climbers and mountaineers Peter Lockey and Gordon Davison. 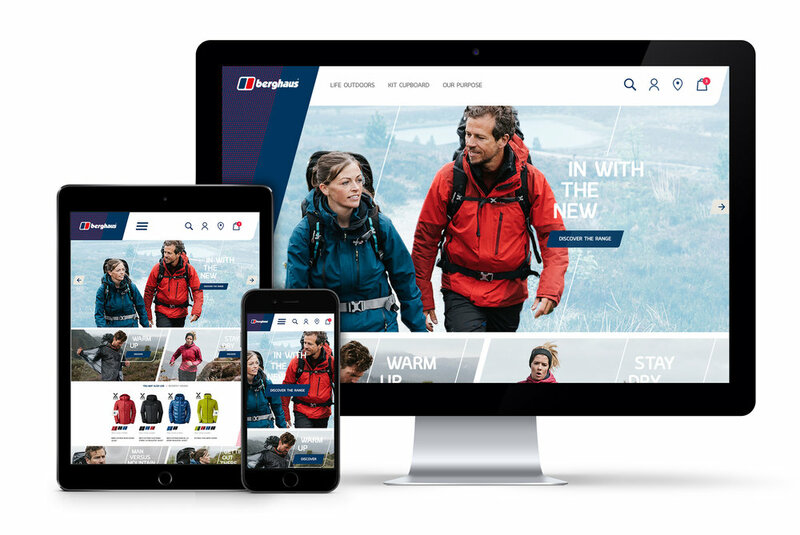 The outdoor apparel brand was looking for a partner with impressive digital credentials and expertise, to define, design and build a responsive solution for it’s National and European sites to promote and sell its products. My role was to art direct and mentor my team to produce compelling designs for both eCommerce (Salesforce platform) and blog sites (WordPress), using a 'Bootstrap' 12 grid system, across desktop, tablet and mobile. "PREVIOUSLY THE OVERALL USER EXPERIENCE WAS DRIVING CUSTOMERS AWAY FROM THE SITE, BUT sanjay and his team HELPED US TO RECOGNISE THE VALUE OF OMNI-CHANNEL AND HAS DELIVERED A FULLY RESPONSIVE WEBSITE."